At Wing, we pick up all your products, professionally pack them and ship them at the most competitive rates! We ship your products with Royal Mail, Hermes and DHL with large discounts. competitive rates! Let Wing take care of your logistics, so you can take care of your customers." Tired of wasting time packing your products and queuing at the post office? 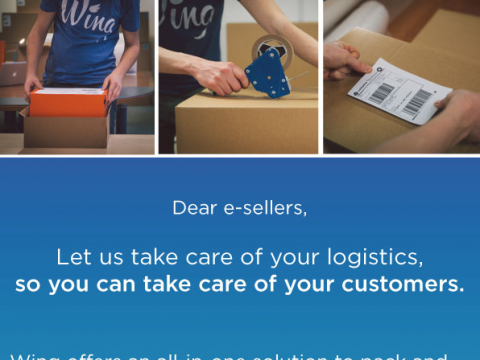 Wing handles all your shipping logistics to let you focus on your business and customers. The administration behind shipping labels and customs documents is now over in a few clicks, with reliable transportation for timely collection, processing at logistics units and deliveries to end customers. Give your customers peace of mind by notifying them with real time tracking updates. Orders can be packaged in quality materials and packers will cater to specifics like stickers, flyers and other inserts. Above all, competitive shipping rates with major carriers mean Wing’s solution offers time and cost savings too. 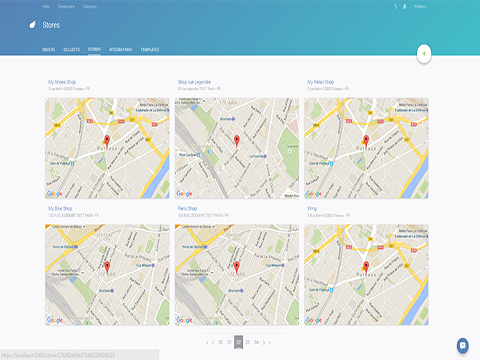 With a few simple steps you can have all your customers’ orders collected and routed to us. Select the orders you want to send and organise them in a Wing consignment bag, ready for collection by our courier. On our dashboard, set your pickup address and request a collection at your convenience. 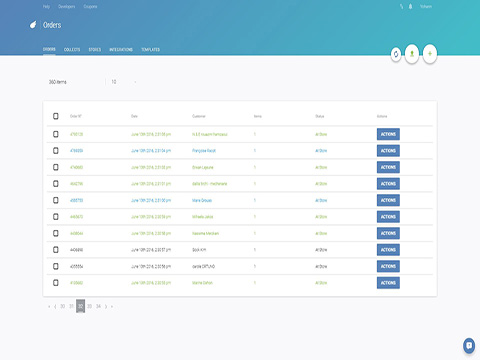 Our dashboard will then help you manage and monitor the shipping status of all your online orders. 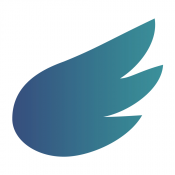 Wing provides a simple cloud-based user experience that integrates seamlessly with all commonly used online selling channels. We ship your products with Royal Mail, Hermes and DHL with large discounts. Pick and Ship from £2.50. Worldwide shipping available, and we complete all the customs paperwork for you. Download our free dashboard and plan your first pickup! After you signed up on our platform we will contact you within 24 hours.